How can we shape a building with light and water to create a vibrant social experience? 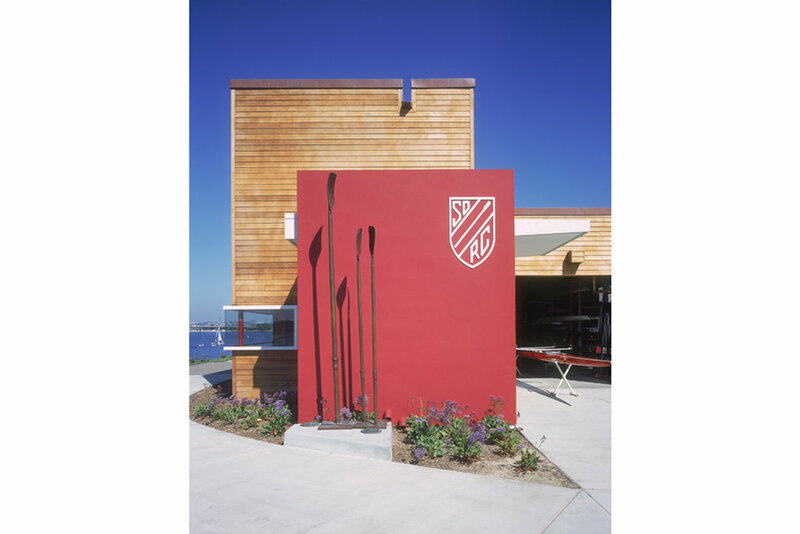 On a limited bay front site, the Garty Family Rowing Pavilion was designed to honor the competitive history and celebrate the future of the San Diego Rowing Club. The pavilion contains a century’s worth of artifacts and acts as an event space for parties and other social events. The building references the old craft of boat-building and the sleek lines of contemporary rowing shells. Defining the main event space, the elongated hull-shaped ceiling is held away from the walls to reveal the sky, exhaust heat through operable skylights and allow daylight to penetrate the space.